Simon Cowell is shaking up The X Factor with new judges, new hosts and… new rules? The show’s creator, producer and judge teases season two details! With so many details about the negotiations already leaked, it seems like Britney Spears is a shoe-in for a vacant spot on The X Factor’s judges’ panel, right? Not so fast, says Simon Cowell. The show’s ringleader shared a recent surprise regarding the race to fill the seats left empty by Nicole Scherzinger and Paula Abdul, as well as details on his ideal hosts and a crucial amendment to audition guidelines. He mentioned that Britney isn’t the only one in the running as of last night. 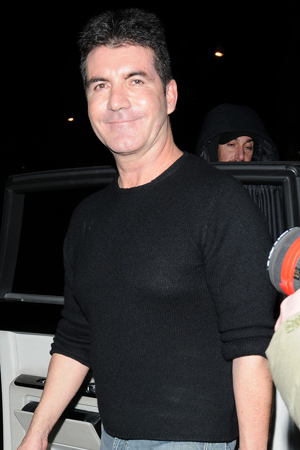 Cowell also answered questions about who will host the show’s second season, since Steve Jones will also not be returning. There won’t only be fresh famous faces at the judges’ table — Cowell addressed a new policy change that welcomes auditionees who already have management contracts.